At the end of every semester, I, like the students, am desperate to shake myself of the previous sixteen weeks. From the energized January beginning to the terrible no-man’s-land of mid-March to the final May mile of our collective marathon, the spring semester can drag. But even as I shout “SUMMER!” and wave my fists above my head in a gesture of celebration and release, I can’t ever let go entirely. In this, the early portion of my summer, as I shift into a state of mind that is more focused on reading and research and writing, the teaching part of me won’t quit. How nice for me, then, that I’m lucky enough to teach what I also am lucky enough to read and research and write about. This past semester, I oversaw a readings course on Modern US Women’s History. Over the course of our sixteen weeks, eight students and I read eight historical monographs. The structure of the course goes something like this: Each time we meet, one person prepares discussion questions, circulates them among his/her classmates, and then leads class discussion. Everyone writes about the book they’ve read. Everyone is expected to participate in discussion. I (try like hell – and regularly fail – to) keep my mouth shut for at least an hour of said discussion. Ideally, the students learn content from the selected books, and even more ideally, they walk away with a sense of the historiography of the chosen topic (non-historians: historiography = historians’ way of describing themes, trends, discussions, debates among historians in the same/similar fields). Additionally, and maybe more importantly (definitely more importantly? ), they learn to read books and write about books critically. They learn to compare texts and question how and why differences in interpretations of the past arise. They learn to analyze arguments and voice their analysis is a professional and measured way. As always, I’d read the selected books in advance. I was prepared with the main ideas I wanted students to take away (the falsity of a singular “natural” version of womanhood versus the many varied embodiments of actual womanhood and an understanding that women’s history doesn’t follow a linear progressive narrative, FYI). But here’s what so wonderful about teaching and what’s really wonderful about teaching smart, engaged students: my themes and ideas were just the beginning. They identified and emphasized so many smart points that are fundamental to the study of women’s history, that I sense may be fundamental to my future teaching AND research, and that reflect significance beyond the world of history and relate directly to efforts towards contemporary sexual equality. Point 1. There is a major difference between appreciation and value. YES. Throughout the course of our readings, ranging from the political world of the late 19th century to media representations of the 21st century, we came back to this idea over and over again. 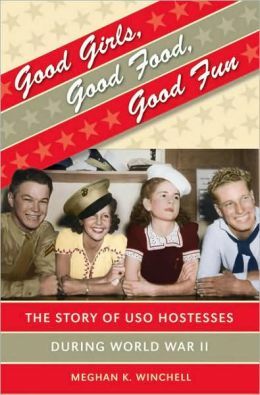 As we read Megan Winchell’s Good Girls, Good Food, Good Fun: The Story of USO Hostesses during World War II, it became clear that the United States government, the USO, and the public at large appreciated the work women did in their voluntary service efforts to entertain American troops, but part of that appreciation stemmed from the fact that these women provided entertainment free of charge. Their service was celebrated as a cost-saving measure as much as it was an act of patriotic service. Similar appreciation revealed itself in discussions of women’s domestic duties. Housewives and mothers were celebrated as a cornerstone of the nation, but respect, admiration, and appreciation had to suffice as substitutes for financial compensation. Point 2. Media and impossible-to-fulfill ideals just won’t quit. As we considered the influence of Betty Friedan’s Feminine Mystique, we noted how media played a fundamental role in shaping women’s views of what their lives should be (as Friedan emphasized). 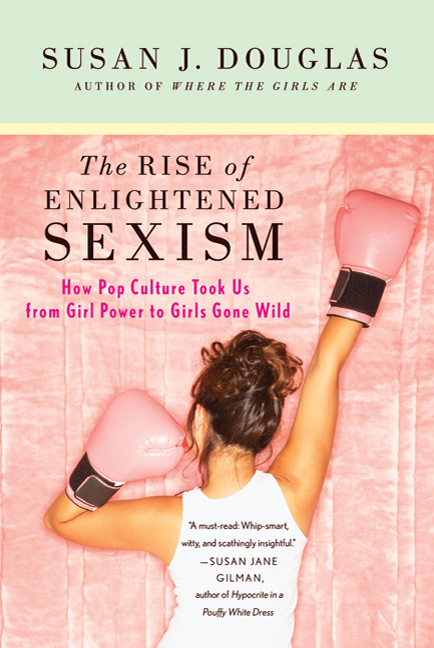 As we moved to consideration of the role of media in the 21st century, Susan Douglas’s Enlightened Feminism revealed how a new ideal, focused on sexual attractiveness, appropriate femininity, and a sense that feminism was no longer necessary, had become a model for young women and girls coming of age. Point 3. Consumerism isn’t liberation. 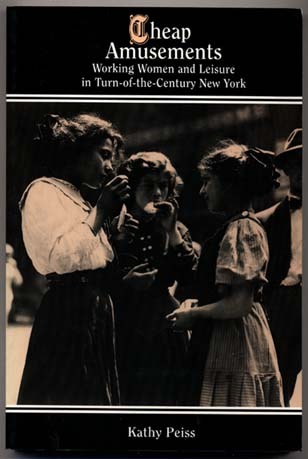 This point came through clearly in reading Kathy Peiss’s classic Cheap Amusements about women in turn-of-the 20th century New York, and, again, through Douglas’s Enlightened Sexism. Marketplace participation may have offered some measure of independence, but it also offered new sets of expectations that were difficult to fulfill, particularly for women who earned a fraction of what working men earned. As women endeavored to enjoy the new “cheap amusements,” while simultaneously paying room and board and dressing in the latest styles, they participated in an arrangement whereby men “treated” them to the dance hall or movies in exchange for sexual pleasures. Did this system provide a measure of autonomy? Sure. Did this system likewise contain an element of danger? Also yes. As for Douglas’s text, maybe one of the greatest moments of my teaching life occurred when a student picked up and extrapolated on Douglas’s critique of Oprah Winfrey for using her considerable power towards a consumerist end rather than toward an effort to establish and effect real political change. Point 4. Focusing on the individual rather than the social structure in which the individual lives is A PROBLEM. Again: YES. When we place the onus on the individual woman to achieve the perfect career/life balance, or we suggest that she just face facts and realize that you get a career OR a personal life, sister, we’re using a rotten, rotten set of expectations and a deeply flawed logic. As Sara Evans’ notes, the shift toward individual fulfillment and the decline of collective activism – shaped not in small part by the Reagan administration’s systematic dismantling of feminist leadership and federal agencies – stalled the progress that was so widespread during the 1970s. I have given so much thought to the persisting structural inequality that continues to plague the United States, and the discussions with my students clarified something for me. 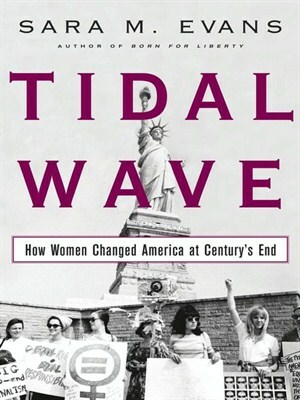 As we concluded discussion of Evans’ Tidal Wave, which gives some consideration to Hilary Clinton, the conversation shifted to women in politics and the possibility of Clinton’s 2016 candidacy. A student asked, “Dr. Dunak, do you think a woman president will mean equality?” This question and my response crystallized for me how my views, re: American men and women, the world in which we live, and what would have to change for equality to be at all possible, have changed. “No,” I said. “A federally funded national maternity policy would be a more critical step toward sexual equality. Commitment to that kind of institutional change – across the population – would revolutionize families, the workplace, and, I think, the face of American politics.” Did I oversimplify things? Yes. Would this solve all our problems? No. Would it a start? Yes. And I think more of a start than a Madam POTUS. And maybe there are those who would tell me to keep my politics to myself, but a) they asked (sort of); b) consideration of the past, I maintain, should be a fundamental component of our efforts to create a better – and more equal – present and future; and c) this is a view that has emerged after careful investigation and analysis of widespread evidence, past and present. This is just the tip of the iceberg when it comes to the ideas generated by and within our discussions. I have so many favorite lines that came out of this class, but I leave you with the moment I knew the class had been a success: A student admitted that she’d come to class not liking a book, but, still, had given the discussion a chance. At discussion’s end, she stated that she had to rethink her position about the text entirely. YES. And if that’s not the point, I don’t know what is. And so: Huzzah for summer! But Huzzah!, too, for classes that linger even after the semester’s close.